Yes mother fuckers, it's been more than 2 months since I last updated this site. A busy girl like me have other more important things to do, like travel the world or get my heart broken. Now that I'm back in the third world, I have a lot of spare time meaning I'll be posting here frequently - as long as you keep your submissions coming. As always, you know where to send them. Email your submissions to insidemybag@gmail.com. All submisions are anonymous unless you want me to give credit. 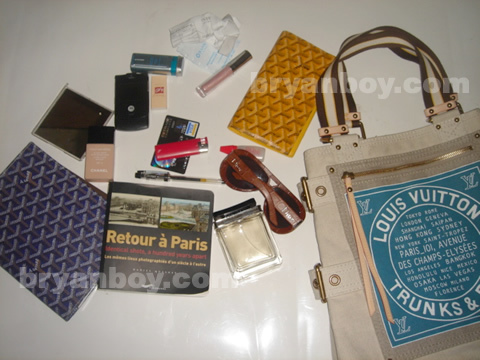 To kick off my coming home party, I'm posting a picture of my latest Vuitton acquisition from Paris. 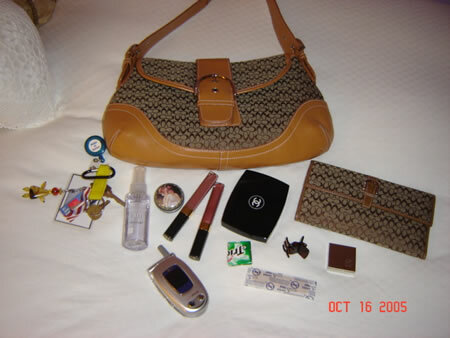 Coach From Massachusetts, Queensland Love, Newport and Rimmel, Vuitton Obsession, Bring the Balenciaga, Australian Vogue, Trisha!